MakerBot, which is owned by Stratasys, the company who have been called the king of the 3D printing world, have shown off their Replicator Mini at the International Consumer Electronics Show, and it is a 3D printer that is much smaller and more affordable than other versions. 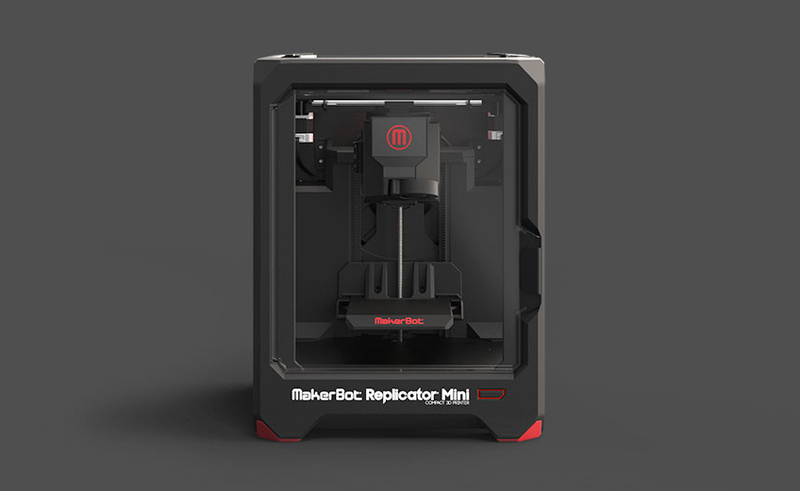 The MakerBot Replicator Mini  utilizes plastic materials that are corn based — which is the same as the much more expensive industrial 3D printer versions — and is much more simple to operate. In fact, the MakerBot only has one button and that is “Print”. Plus, it is fairly small compared to the competition: 10.0 L x 10.0 W x 12.5 H cm. The Replicator Mini is set to come out in Spring and it will cost $1,375. While $1,375 may not appear to be “affordable” — it is, indeed, quite pricy in terms of absolute dollars — it is still several thousand dollars cheaper than other 3D printers. So for a 3D printer in today’s day and age, it is affordable.